I don’t know about you, but every year Mother’s Day seems to just sneak up on me. If it did, have no fear! We compiled a list of last minute Mother’s Day gifts. These gifts are perfect for any mother in your life…including YOU. Sentiment on enclosure card: ”Laughter with love… always”. Enclosure card included in the box for gift-giving. 6”h hand-painted resin figure. Artist Susan Lordi hand carves the original of each Willow Tree piece from her studio in Kansas City, MO. This piece is cast from Susan’s original carving and painted by hand. Willow Tree is an intimate line of figurative sculptures that speak in quiet ways to heal, comfort, protect and inspire. Sculptures communicate through gesture… to represent an emotion or mark a memory. Gardenia Bonsai are one of the most loved and challenging plants in the bonsai world. Beautiful, dark green, oval, waxy foliage and a wonderful fragrance that drifts from showy, creamy blossoms make the Gardenia Bonsai an ideal item to include in your home environment or to present as a unique and special gift to your loved ones. Considered difficult to grow by some gardeners, Gardenia Bonsai offer a unique opportunity for anyone who wishes to take the time to attend to their needs. Gardenia Bonsai are native to southern China and Japan and have been beautifully depicted in the art of those regions for centuries. Your medium 4-year-old bonsai comes in an 8″ container and will be carefully wrapped in a custom designed corrugated carton and delivered with detailed care instructions. Gardenia Bonsai are evergreen shrubs with luxurious white or cream-colored flowers that are either solitary or form in small attractive clusters. NOTE: Flowers have a strong scent which is delightful to most, but can have adverse effects on people suffering from asthma or allergies. This species of bonsai blooms from May to July. The rest of the year it will remain green with no flowers. Nothing says “sweet indulgence” like a luxurious home spa session! Delight yourself or a lucky recipient to this spectacular ORGANIC Bath Gift Set, beautifully wrapped up in a rustic-chic wooden basket. Contains 2 ORGANIC Coconut Soaps, Shower Gel(200ml), Bubble Bath(200ml), Body Lotion(200ml), Organic Unrefined Shea Butter(50ml), Massage Oil, 6 Bath Bombs, Plush Towel, Exfoliating Loofah Back Scrubber and a Brown Wooden Crate for décor and storage. About Ginger Snaps: Create your style in a snap with this standard size Ginger Snap! Mix and match styles for infinitely customizable jewelry. Don’t forget to choose a bracelet or necklace for your Mom’s Ginger Snap Mom Accessory! Made from 100% cotton. It measures 20.5″W x14.5″H. The 10oz beach tote is sufficiently broad to carry all you need. It also has an inner pocket to carry your personal items like your cell phone or wallet. Printed in the USA. Professional quality UV-resistant inks. Pigment-based and designed to last. The printed artwork looks absolutely stunning with a brilliant finish. Print quality doesn’t get any better than this! This traditional 100% Cotton Natural Faux Linen Decorative Pillow Cover makes the perfect gift for Mother’s Day! What mom can resist a great throw pillow? I know I can’t! The style and feel of this linen pillow cover is sure to add texture, dimension, and interest to your mom’s home décor. It is 16 in x 16 in. , and has high-quality graphics, is soft to touch, and washable. Made of a fine soft 100% Cotton. Pillow insert is NOT INCLUDED. Grab your pillow insert HERE. Compatible with iPhone 7 Plus(2016) and iPhone 8 Plus (2017). The floral pattern on the case makes your phone different and eye-catching. Full protection design covers every corner of your iPhone, raised 0.1mm back cover at camera cut-out area protects your camera. Cutout design for Speaker, Screen, camera and ports, easy access to all ports and connectors. This unique #momlife tucker cap is also made for great smooth texture and long-lasting durability. The visor is pre-curved to keep eyes/face away from sun rays. Adjustable buckle back for various sizing abilities. This cute trucker hat for mom is a cute match with any casual outfit, but also looks amazing with a cute baseball tee! 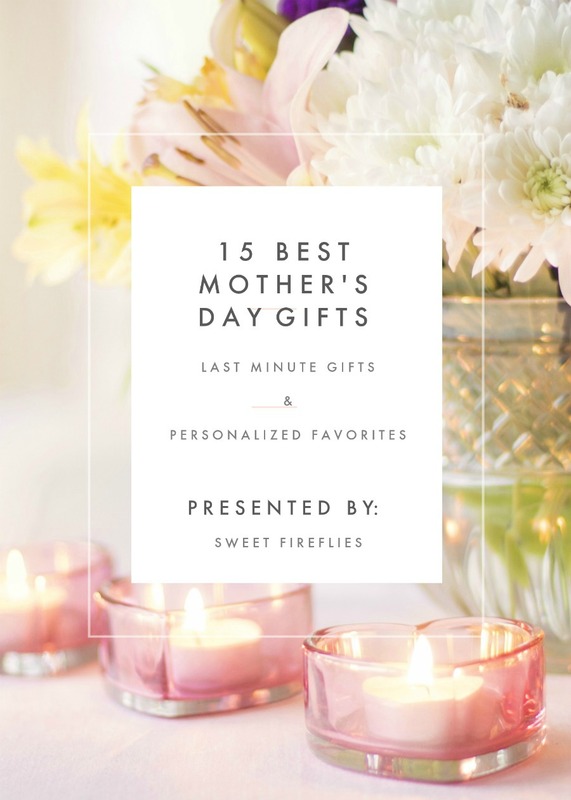 The post 15 Last Minute Mother’s Day Gifts appeared first on Behind the Mom Bun.